Sorry for the delay in blog entries but I have been quite ill at home for the last few weeks. 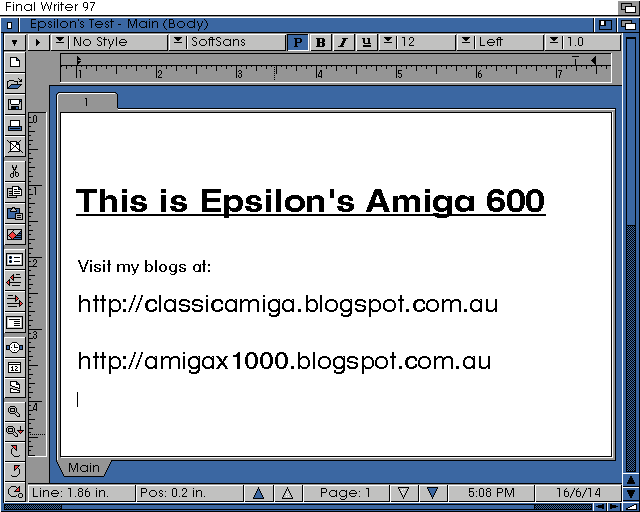 Anyway, enough of that - let's continue the build of the Amiga 600 CF Card AmigaOS3.1! If you haven't been following along with the build, I suggest reading Part 1 and Part 2 first, as this Part 3 continues straight on from Part 2. 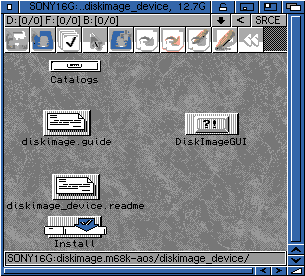 Next up I wanted to install DiskImageGUI, which allows you to mount ADF, IDF, DMS and ISO images as virtual drives on AmigaOS3.1. Other formats are supported too. Phew...lots of pre-requisites. But worth it. This is a Commodity, so once run it sits in the background and can be called up at any time needed by pressing CTRL-ALT-D. Probably best to put it in the SYS:WBStartup folder so it is available anytime you need it. 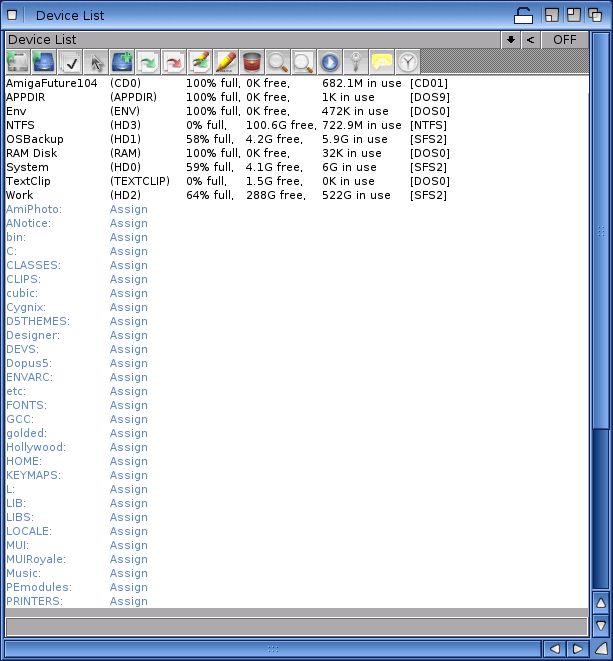 Here is the GUI for it, showing the virtual IDF0, IDF1, ICD0 and ICD1 devices. 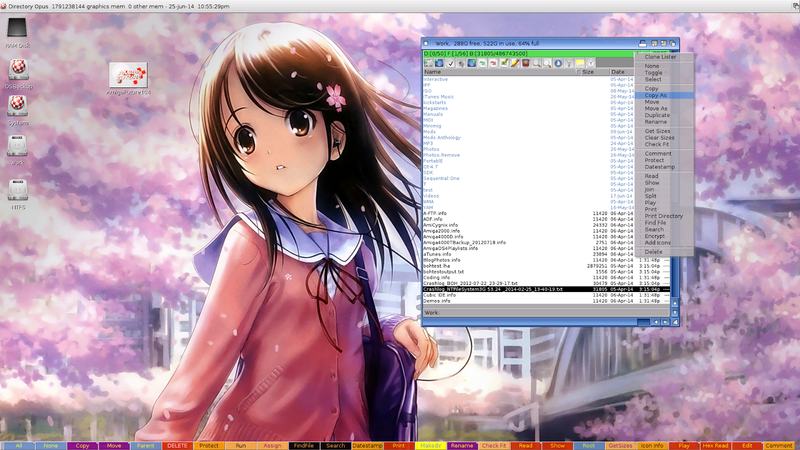 Important Note: I found that DiskImageGUI causes some issues with DOpus 5.9 when mounting disks. It changes all the icons on the desktop and makes them unable to be opened. 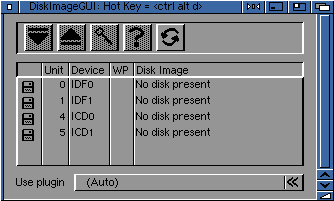 Make sure you close DOpus 5.9 before mounting disks in DiskImageGUI. 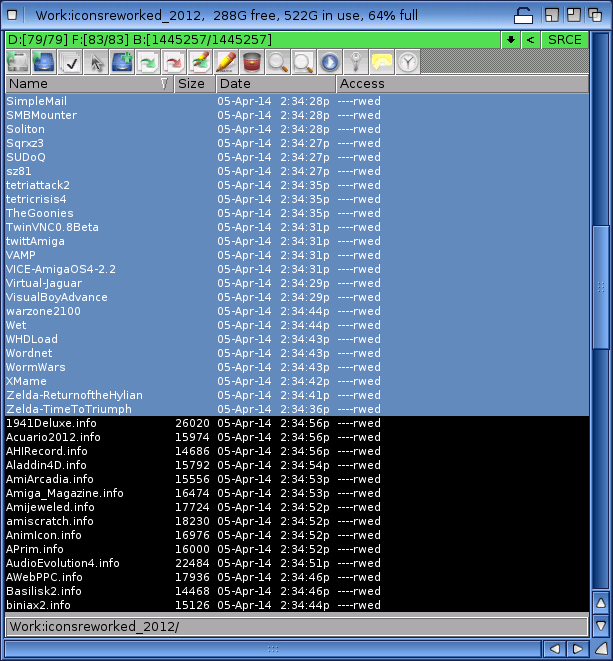 After un-mounting the images, you can then run DOpus 5.9 again. 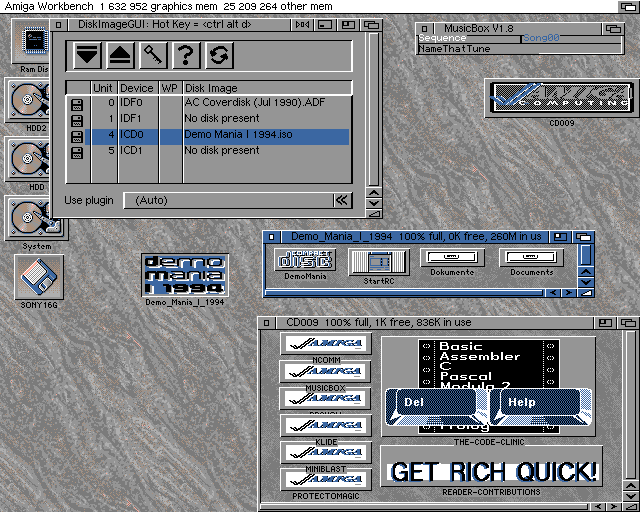 I previously covered here how to install and setup the MAS Player Evolution on the Amiga 600, so I won't repeat what I already covered. Alternatively, keep the mp3's on a USB stick, as the fat95 file system supports the longer names - but be aware that in my testing, streaming mp3's from usb didn't work well - so I copied them to the CF card first. 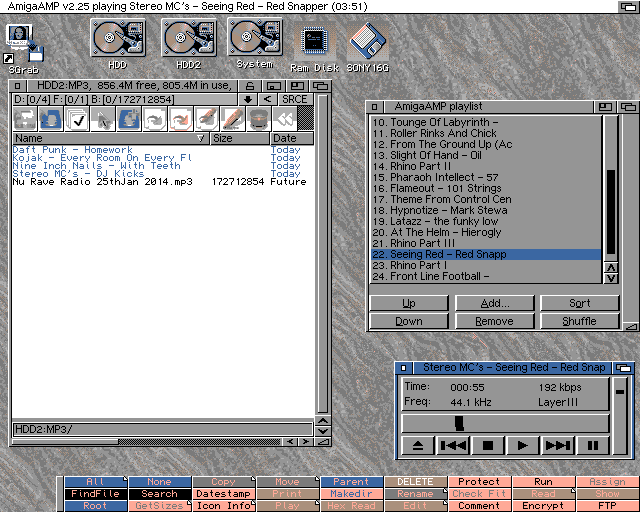 If you have streaming 192k mp3's from usb stick working well under AmigaOS3.1, please let me know what you did! 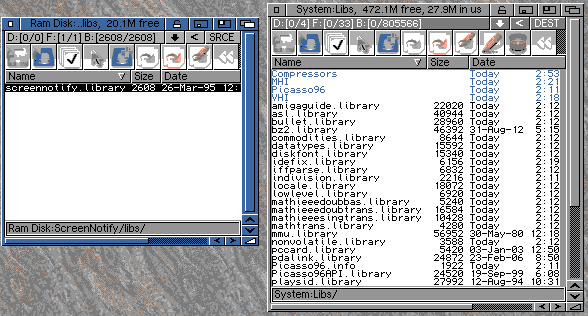 Previously I covered here how to get AmigaOS3.9 online, which has Genesis included and so it doesn't need EasyNet installed to do it (although you can use it). Note that for my wireless card to work, I need to install the prism2v2 driver first, as I covered in detail previously here. 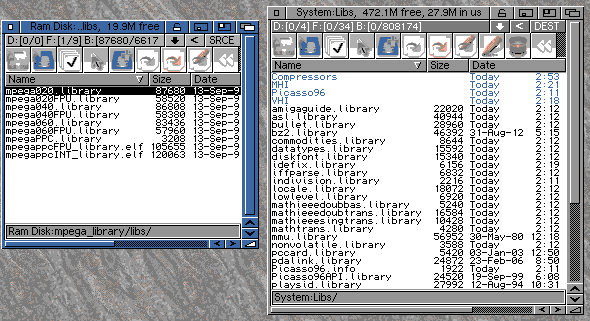 For AmigaOS3.1, we install EasyNet instead of configuring Genesis (as I did in the blog entry referred to just now), as that is for AmigaOS3.9. 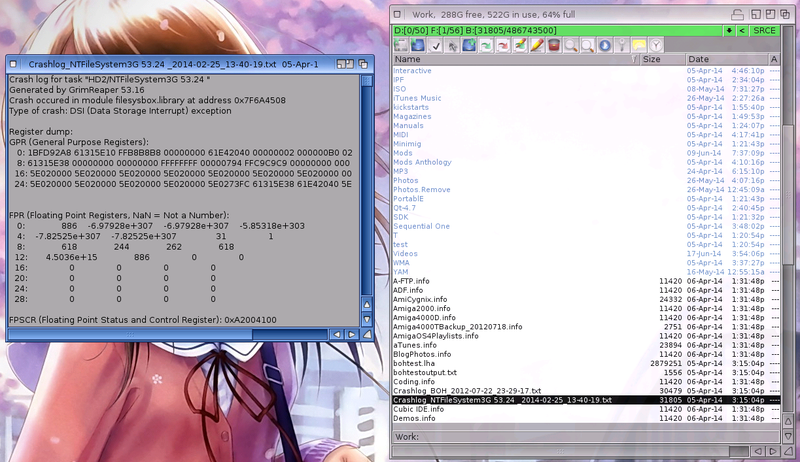 I then ran through the EasyNet installer, but unfortunately forgot to screen grab it! Sorry for that! 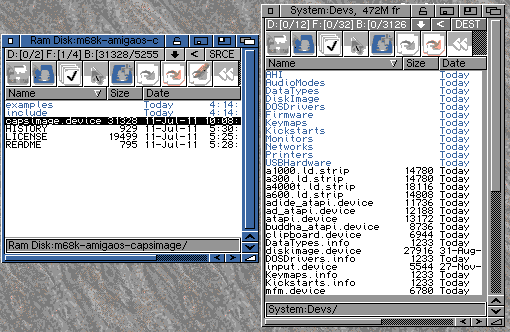 I did select to use the prismv2 driver for the network and entered my usual fixed network ip address settings I want to use for the Amiga 600. 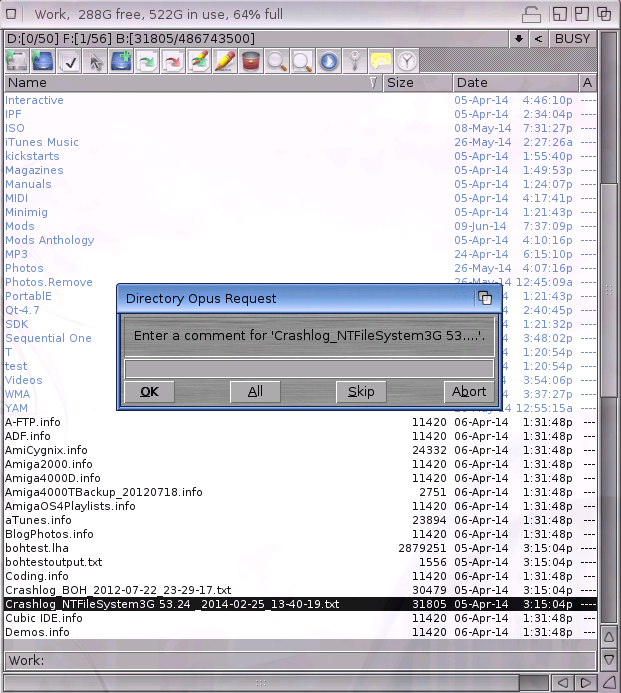 I installed Wookiechat next (from Aminet), which is an IRC client. It also includes installation of several commonly used MUI classes that are not included with the standard MUI install, like NList, etc. You can also download the MUI classes from Aminet, but installing Wookiechat does them as well so it was more efficient use of time for me! 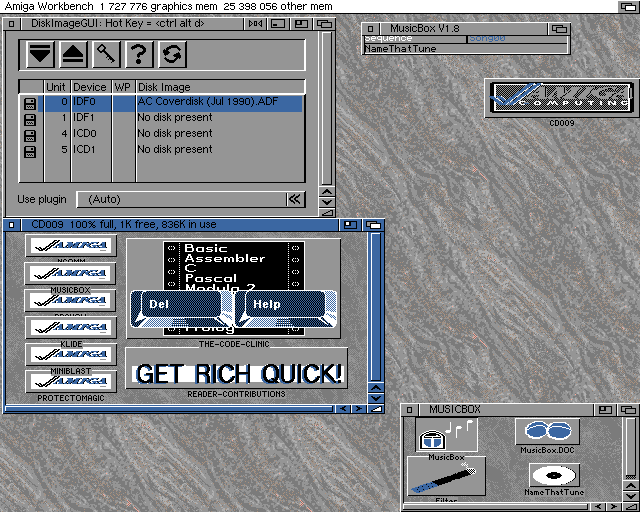 Below is Wookiechat, FTP (via DOpus 5.9) and MP3's playing back in AmigaAmp using the MAS Player Evolution hardware, all at the same time on the Amiga 600! Next entry I plan to tackle local network access which I can't right use now as I found a problem with EasyNet local network services not working with EasyNet - internet access works fine. 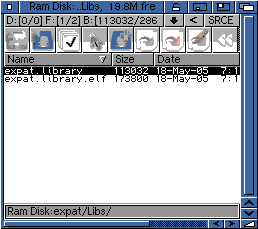 I traced the problem to my EasyNet version being too old to support the prism v2 driver. 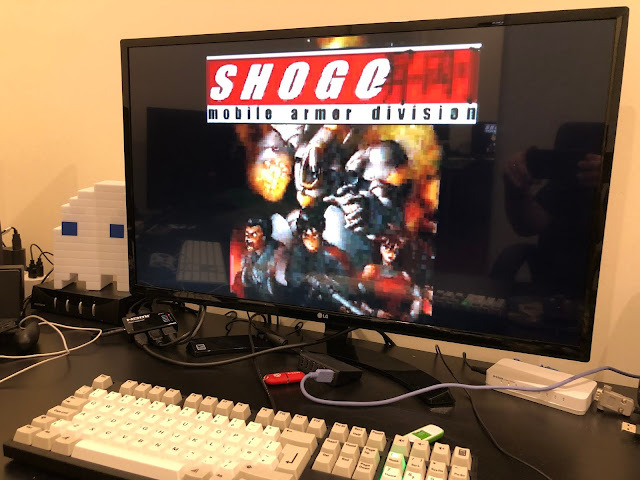 As soon as AmigaKit send me the latest version of the EasyNet software needed to support the prismv2 driver I am using with my wireless card, I will try again. I also need to sort out why AWeb isn't working properly, which I am guessing relates to the problem above. 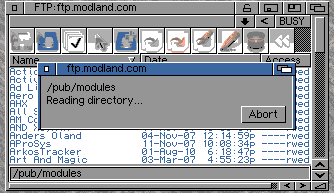 One of the interesting things I came across in the forums recently was people wondering what the titlebar icons in Directory Opus 5.9 listers are used for on the X1000. Unlike a traditional MUI based application, DOpus 5.9 doesn't have tool tips that appear when you hover over the icons to tell you what they do! So I thought I would cover this off today and explain what each of the icons do! Hopefully this of help to people! To start with, a tip I learnt recently in DOpus 5.9 is that if you hold down the shift key while double clicking on a program in the lister view, it will automatically launch the programs associated icon! This means you don't have to change the default DOpus lister view from name to icon view every time you want to run a program with an icon! 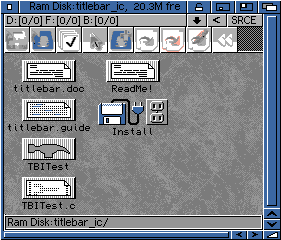 Okay, now back to the toolbar icons! Lists all the active Devices and active Assigns in the lister. You can also double click on the DOpus 5.9 desktop to get this device lister at any time. 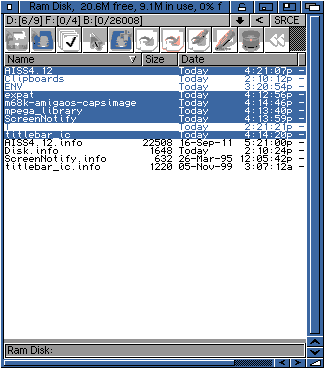 Select all the files and folders shown in the lister. "Copy As" - copy selected files/folders from the lister labelled SRCE to the lister labelled DEST with a prompt to ask you what name or name wildcard you want to give the destination file(s). Set Protection (security) flags for selected files in the lister, such as (S)cript, (R)ead, (W)rite, (E)ditable, (D)eletable flags. Prompts to add a comment field to the selected files in the lister (these comments are visible when viewing in the lister or via the Shell). 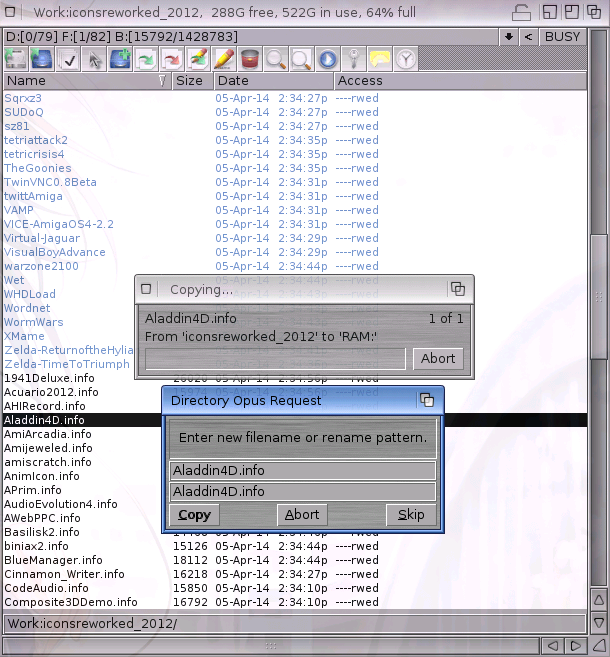 Prompts to change the date/time on the selected files/directories in the lister. Some screenshot examples of most of the above icons follow below to show what happens when used, and to prove I did check these functions work as above! Here is a screenshot showing a deletion - it definitely does prompt first! 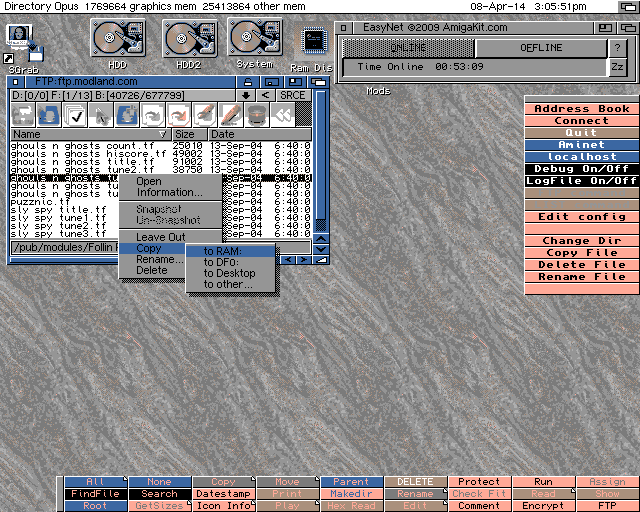 I hope this helps out with DOpus 5.9 toolbar button functions and usage on your X1000 or other AmigaOS4 machine! DOpus 5.9 is a highly customisable program - I expect to do more tips and tricks as I also learn more about how to use it better!